And all that sleep just made me more tired… so I was basically a walking zombie all day. I then went out to dinner and on my way back… I randomly had an all out panic attack. I just don’t understand… why did this randomly happen?? I have written about dreams a lot throughout these posts. I find that I write about them due to the fact hat I sleep way more than the average person does. I actually had a sleep test done (I may or may not have mentioned this somewhere else) where they couldn’t formally diagnose me (due to the fact that I couldn’t take naps for them), but they think I might have a form of narcolepsy (obviously on the more functioning side and less server). With that being said I have posted a lot about how I actually like dreaming. It takes me to a new world one in which I don’t have the troubles that I have today. One where I can be or do anything I want. But sometimes though… like last night I have dreams that are plagued by OCD fears. Dreams that seem so real… I honestly don’t know if they were dreams or reality. Usually about after a couple of hours I can discern what was a dream and what was reality… but within those few hours when I am not sure.. I am frightened.. I guess one would just call these nightmare. But like I will have whole dreams that I have had conversations about my OCD with someone and/or OCD compulsions are happening such as cleaning my bathroom profusely and when I wake up I actually think these events happened. I know some people can wake up and be completely alert, but I can in no way shape or form do that. I’m always in a some what zombie mode.. and the more tired I am the worse it is and the worse it is trying to decipher between dreams and reality. No matter how much we want it, it does not exist. I always thought that I could at least get a “Hollywood ending.” My thought process for this is that Hollywood endings really aren’t about endings, but are about beginnings. The beginning of relationships, new life after a great adventure, etc. Hollywood endings, to me, were always the prologue to the actual story. I’ve tried to hold on to some hope and optimism… but as the days pass I find that I have less and less hope. I don’t want to be hopeless. I don’t want to not have feelings. I rather feel bitter resentment of my life not turning out the way that I want it to than nothing at all. Feeling nothing is scary. But here I am. Sitting on the couch with a thousand things to do, but I can’t motivate myself to move. Its like I’m Snow White after she bit the apple or Sleeping Beauty after she got pricked by a needle. But there is no prince coming to save me. True love’s (not that I have one) kiss won’t work. I’m not some amazing beauty/princess that the world can’t live without. I have to find a way to save myself, but I don’t have the energy. I’m too tired. 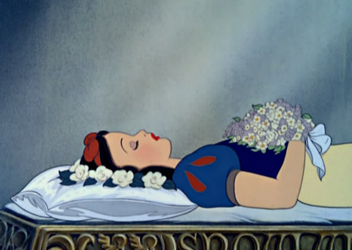 Maybe Sleeping Beauty and Snow White wanted/needed to sleep. To reenergize/ to reboot themselves. 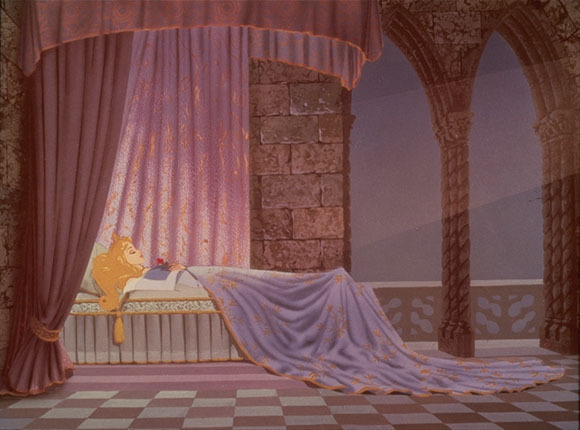 Maybe they would have woken up eventually without the aid of a prince, they just needed time. After all even the energizer bunny has to get new batteries every once in a while. Maybe I just need a replacement battery. But its hard to replace your own battery. But…. I know I can’t do this on my own. No one though is here to wake me up. I must figure out how to save myself from myself. Behavior influences thought, so maybe I’ll act like everything is ok and I will be ok.
I’m tired of feeling like this. I NEED to wake up. But…. not now… maybe tomorrow.